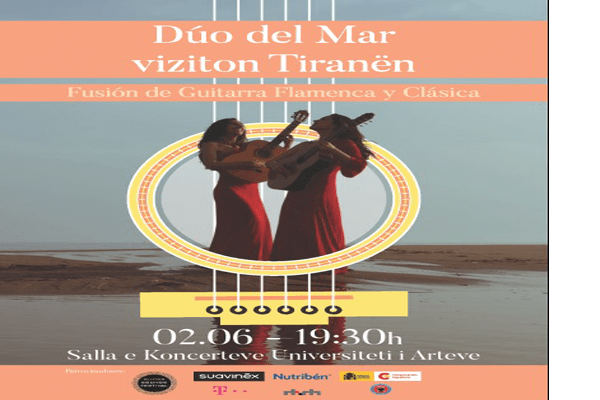 The guitarists Marta Robles and Ekaterina Záytseva, the guitar duo, which fuses Spanish and flamenco guitar will perform at the Concert Hall of the University of Arts on June 2nd, at 7.30 pm . Marta is flamenco soloist and Ekaterina an classical guitarist. This concert is within the framework of the Guitar Sounds Festival and it will be the first time that Dúo del Mar will perform in Tirana.